I normally wait to tuck in until after the photographs, but this time I couldn’t help myself. These pasties are fantastic. And there’s nothing tastier than finding a way to recycle leftovers, especially when you’re on a budget. I found this recipe while thumbing through a great new cookbook Taste of Home Dinner on a Dime. The recipe was written for leftover pot roast, but you can use whatever beef you have on hand – even ground hamburger. If you don’t have beef gravy, you can improvise with low sodium beef stock or bouillon. Simply bring a cup of stock to a boil, add 1-2 T. flour and whisk briskly to combine. Continue whisking until thickened. Viola! If you don’t have a standard recipe for pie crust, combine 2 1/3 c. flour with 4-5 T. unsalted butter. Sprinkle in cold water, one tablespoon at a time, until the dough can be gathered into a workable ball (roughly 16-18 T. water). Knead briefly, then divide dough into 4 equal pieces. Preheat oven to 450 degrees. Get out a large nonstick baking sheet and set aside. Combine first 9 ingredients in a large mixing bowl and stir well to combine. Set aside. Take one of the 4 dough pieces. On a lightly floured surface, using a lightly floured rolling pin, roll the ball out to an 8-9 inch circle. Mound 1 cup of the filling onto one side of the circle, leaving the edge clear. 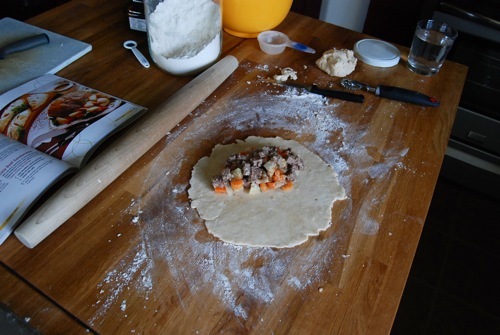 Moisten the edges of the dough with water, then fold the dough over. You want all filling to be neatly tucked and sealed inside. Press the moistened edges firmly to seal. Trim with a knife, pasta or pastry cutter, or press down with a fork to decorate. Cut a few venting slits on top. Carefully move pastie to baking sheet. Repeat process with remaining ingredients. Brush tops of pasties lightly with milk. Place baking sheet on middle rack in oven and bake 20-25 minutes, until golden brown. Remove from oven and cool briefly before serving. 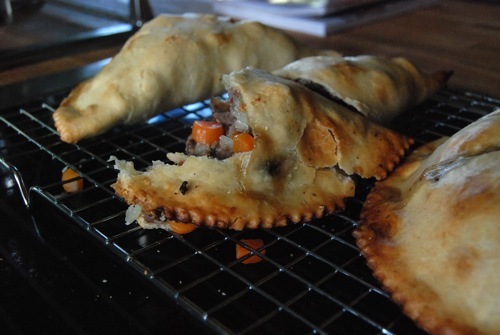 Pasties can be made ahead and reheated in a 350 degree oven for 15 minutes. 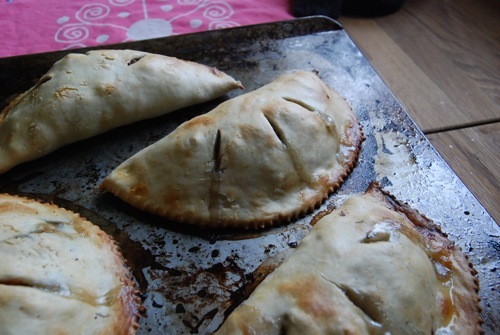 Could you do something similar to this to make a calzone? 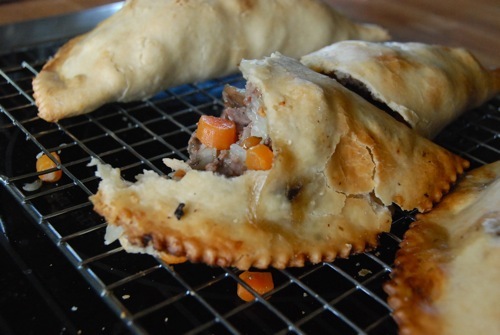 Thank You,, have never made pasties before and yours look yummy so will try this one. Tried making pasties for the first time ever. Used this recipe and they turned out GREAT. 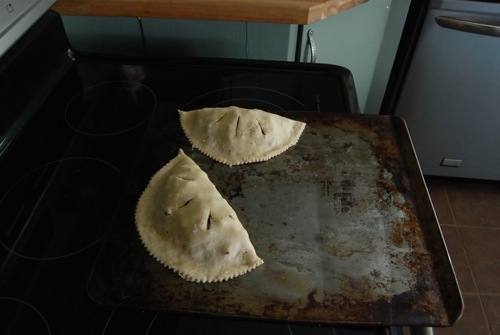 I’ve spent a lot of time in the UP of Michigan and enjoyed the local pasties. To find one like this that is LOW SODIUM is tremendous! I’ll make this again.